Beautiful card Sylvie. Very lovely cat image. I love the flowers too. Just love your card Sylvie it really made me smile...another one on the wish list..although I am suppose to be having a crafty clear out!! Such a pretty card Sylvie, an adorable image. Now this card will make someone glad they had a BD! 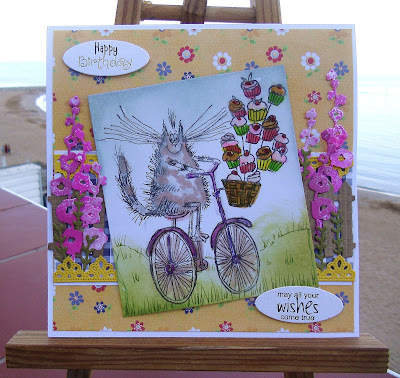 So cute--love it, Sylvie!